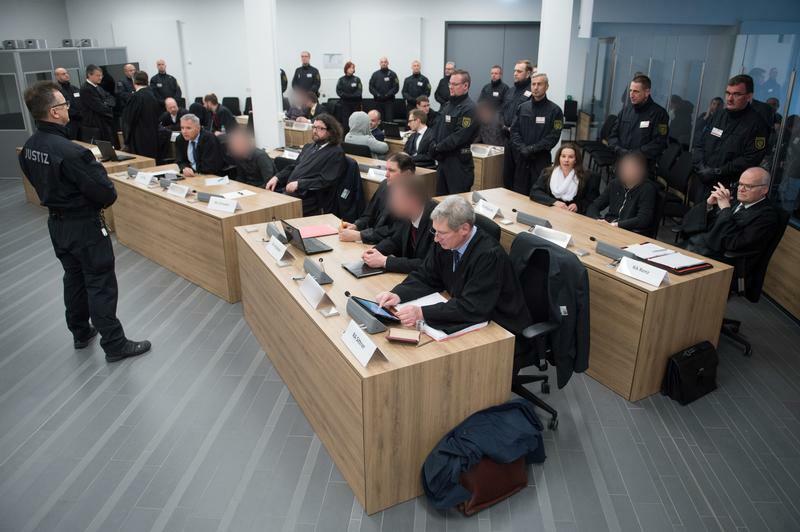 The judge in a German trial tackling violent right-wing extremism wanted to make one point clear. “You are not the victims here,” he told the defendants in the Dresden courtroom earlier this week. “[The victims] are the people to whom you caused anxiety and horror,” Judge Thomas Fresemann added, referring to the asylum seekers, migrants, and local German politicians who had been the target of violent attacks in the town of Freital, eastern Germany, at the height of Europe’s refugee crisis in mid-2015. Around 1 million refugees and asylum seekers arrived in Germany that year, an influx that also placed a huge strain on many local communities. Fresemann on Wednesday sentenced a group of seven men and one woman, ages 20 to 40, to up to 10 years in jail on charges including forming a terrorist group and attempted murder. The case was one of only a few federal trials dealing with homegrown terrorism in modern German history. The group’s crimes were based on xenophobic, extremist, and Nazi ideology, according to Jörn Hausschild, the federal prosecutor. The group carried out five attacks, including against asylum shelters and the car of a local politician from the Left party who helped the new arrivals. It was only good fortune that no one was killed, Hausschild said. Some in Freital have said that they sympathize with the attackers, believing the group’s crimes were not severe – even though it detonated homemade bombs at asylum seekers’ homes and at the Left’s party offices. Hence the judge’s emphasis that those found guilty are not victims. Similar extreme anti-migrant sentiments sadly do not appear to have subsided since 2015. In the first half of 2017, German authorities recorded 143 attacks on asylum shelters and 642 attacks on refugees and asylum seekers outside their homes. The populist anti-migration AfD (Alternative for Germany) party entered the federal parliament for the first time last September. Saxony, where Freital is located, is the AfD’s heartland, and the party was the leading vote-winner – with a huge 36 percent of the vote – in Freital’s electoral district in the September poll. Such concerns make this week’s signal from a Dresden courtroom all the more important.